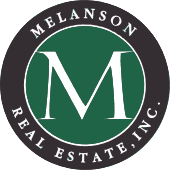 Homes For Sale on Lake Wentworth | Melanson Real Estate, Inc.
Lake Wentworth in the 7th largest lake located entirely in New Hampshire. It is named for Royal Governor John Wentworth, who built a summer home there in the 1700's. His wife used to picnic on the spot that is now Camp Birchmont. There are at least 18 named islands with Stamp Act Island being the largest at 106 acres. Connected by an underwater reef to Bass Island, Stamp Act remains undeveloped to this day and is home to an abundance of loons and waterfowl. Swimming is a major activity at the lake with Albee Beach and Lake Wentworth State Park offering ample sandy beaches and picnic areas. Albee Beach is also the starting point for the Great Smith River Canoe and Kayak Race, held each year in May. The race is approximately 4 miles long and included a mild white-water stretch, 2 portages and is very exciting to watch. Classified as a warm water fishery, you will find rainbow trout, small and largemouth bass, pickerel, horned pout and white perch.